A locally owned and operated company, Precision Overhead Garage Door Service of Virginia Beach offers new garage door installation and repair services to all of Hampton Roads, VA. Our professional, certified technicians can expertly install a new garage door, quickly repair all types of garage door problems, and even provide routine maintenance to keep your door functioning at its best. For your convenience, we offer same day and 24-hour service appointments. Doormasters, Inc. has been proudly serving the Greater Hampton Roads area of Virginia for 27 years since 1988. Doormasters is a family-locally owned and operated business, not a franchise, so you know you will always get the personalized attention you are looking for since we have a vested interest in making you happy. 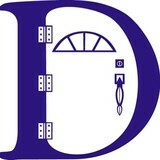 Doormasters is also a fully insured Class A VA General Contractor. Doormasters uses full time employees for all of our door installations and service calls. 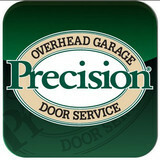 A locally owned and operated company, Precision Overhead Garage Door Service of Virginia Beach offers new garage door installation and repair services to all of Hampton Roads, VA. Our professional, certified technicians can expertly install a new garage door, quickly repair all types of garage door problems, and even provide routine maintenance to keep your door functioning at its best. For your convenience, we offer same day and 24-hour service appointments. Precision Door Service has over 70 nationwide locations and is proud to be the country's leader in quality overhead garage door services. The locally owned and operated Virginia Beach, VA franchise constantly receives high marks and rave reviews from satisfied customers throughout the Hampton Roads area. Our commitment to keeping your garage door operating safely, smoothly, and reliably is backed with a Limited Lifetime Warranty. 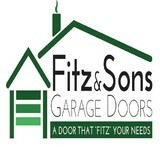 Fitz & Sons is a garage door installation and service company. Selling the finest garage doors and parts from Amarr, one of the nations leading garage door manufactures. The type of doors we install include, but are not limited to, standard raised panel residential, steel carriage house, custom wood and a full line of commercial overhead doors. We also install a large variety of electric door openers. We have the ability to repair all types of doors and openers. Other additional work would include, but not limited to, full opening cut outs, full reframe, delivery of products and installing some entry and storm doors. Our goal is to become the garage door company in Hampton Roads that is well known for it's honesty and integrity. A company you can trust with quality work that is fast and efficient at a fair price. 24 Hours Emergency Service! Welcome to ATW Door Systems located in Williamsburg and serving all of Hampton Roads. ATW is a local private business, licensed and insured, with experience installing new garage doors and servicing all makes and models of garage doors needing repair as well as garage door hardware and garage door openers. Our customers are satisfied with our honest and experienced specialists. ATW Door Systems is an authorized dealer for Amarr garage doors. Our certified specialists install, insulate, and/or repair per the end user requirements. While we specialize in garage doors, we also sell and install all types of access products for your home or business. Since 1973 we have been serving Virginians with the finest products backed up by professional service. Our service and installation trucks are manned with the best trained, most well equipped technicians in the business. We are proud to showcase our products in five locations throughout Virginia. You'll find Apple Door stores in Richmond, Fredericksburg , Waynesboro, Williamsburg, and Chesapeake. Each location has a fully staffed showroom and customer service center. Please visit the "Contact / Info" section of our website for the store nearest you. Whether it's our hallmark garage door products, awning and solar shading systems or heavy duty industrial doors, Apple has the access products of choice throughout Virginia . Call us today or stop by one of our showrooms and let us custom design a system for you. Remember, if you need emergency repair service, just call us, 24 hours a day. Thank you for visiting our website. We value our customers' feedback. Tell us what you like, what you don't like or what else you'd like to see on-line. We appreciate your business and look forward to serving you. What kind of services do Virginia Beach, VA garage door dealers and installers provide? Find garage door sellers and installers in Virginia Beach, VA on Houzz. Narrow your search for Virginia Beach, VA garage door sellers and installers by selecting the nearest city or zip code. Look at portfolio and product photos, and read reviews to find the best Virginia Beach, VA garage door professional for your home.